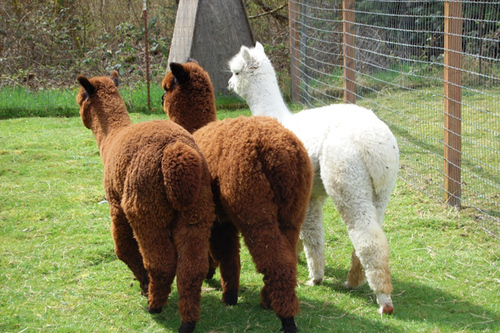 "Sweet by Nature, Spicy by Design"
Sugar & Spice Alpaca Farm is located in the beautiful Western Washington town of Maple Valley, in the foothills of the Cascade Mountains, an ideal environment to raise these inquisitive, charming creatures from South America. A perfect addition to any farm as they are easy on the land, have enjoyable personalities and provide renewable, elite fiber. We offer friendly and knowledgeable support to new and experienced owners through breeder services and instruction in alpaca farming to those wanting to know more about these endearing animals. Periodically we offer select breeding stock for sale in order to diversify our herd. Browse our animals for sale and discover leading genetics available for purchase, from experienced bred females, to award winning studs, to young show quality stock. We promise to help find the alpacas that are right for you. Our alpacas carry desirable genetics from well known farms from all over the US. Our fiber specialty is 100% handmade felted textiles, fashioned into one-of-a-kind designer home decor; rugs, pillows, drapes and upholstered furniture. If you would like to learn the ancient craft of felting contact us to arrange a class. Extreme genetics with richly colored fleece! Trained to halter, lead and tie for easy management. If competing in shows is your goal, we produce quality, ribbon winners in Level IV and V AOA shows. You will experience personalized, friendly, knowledgeable advice. 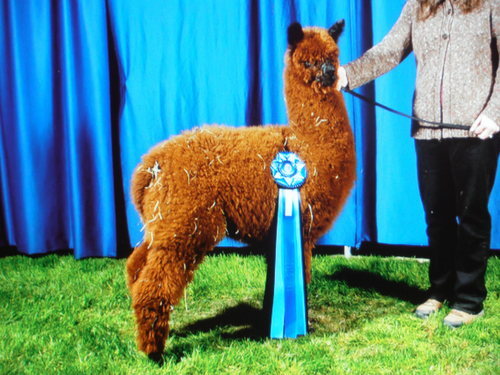 We love raising alpacas and will gladly share our passion and experience with you.